Barcelona restored their five-point lead at the top of La Liga with a 3-1 win over Leganes at the Camp Nou on Sunday. Ousmane Dembele opened the scoring in some style after 32 minutes. The France international went past Oscar Rodriguez, swapped passes with Jordi Alba and then slotted home a low shot in off the post. The hosts dominated the game but were shocked after the break when Leganes levelled. Youssef En-Nesyri played in a low cross for Martin Braithwaite to tap home. Ernesto Valverde had opted to rest Lionel Messi but sent the Barcelona captain on, and he helped the hosts secure all three points. The Argentine unleashed a fierce shot that goalkeeper Ivan Cuellar pushed into the air and Luis Suarez managed to bundle home on 71 minutes. Messi then combined with Alba to net Barcelona's third in stoppage time with his 18th La Liga goal of the season. There's no doubt that Dembele was the star of the show against Leganes until he was forced off with injury in the second half. He was easily the most dangerous player on the pitch, and it was little surprise when he scored the opening goal just after the half-hour mark. The 21-year-old's explosive pace and willingness to run at opponents ensured that Messi, who started the match on the bench, was barely missed in the first half. Dembele is enjoying a strong second season at Barcelona after an injury-interrupted first campaign at the Camp Nou. 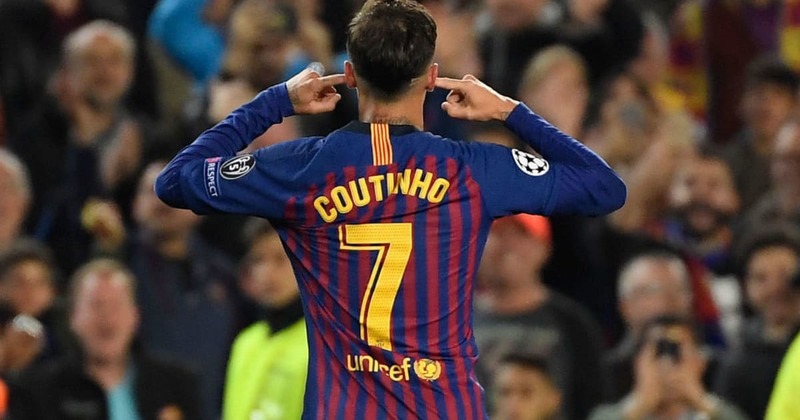 The youngster's development is plain to see, and Barcelona will be hoping he can continue his current trajectory and fulfil his huge potential. Barcelona have been linked with a move to re-sign Neymar from Paris Saint-Germain. The Brazilian has called his former club asking to return, according to El Mundo (h/t AS). However, Dembele's current form shows that he can be the future of Barcelona, and the club has no need to resurrect the past by bringing Neymar back. Ernesto Valverde has been guilty of failing to make full use of his squad during his time in charge of Barcelona. He barely rotated in his first season, and a lack of freshness was a factor in their shock UEFA Champions League defeat to Roma. 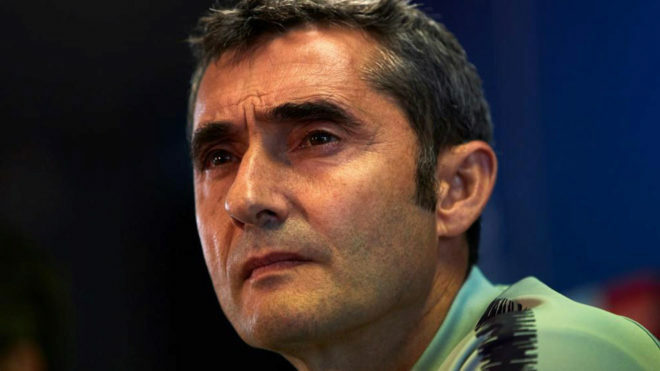 It was the right decision by Valverde, particularly as Barcelona are on a run of four games in 11 days. They play Sevilla twice in the Copa del Rey and Girona and Valencia in La Liga. Aleñá meanwhile, who did not cost €160m, outstanding. A performance of energy, desire and intelligence. Should've played whole game and given the encouragement he needs to progress. Vermaelen also put in a strong performance in the heart of defence alongside Gerard Pique. His return to fitness meant that Lenglet was given the night off and was not in the squad at all. Messi warming up. Expect him on around the hour. Valverde once asked why he always brings him on &amp; doesn't let him get a full rest, basically said because it's Messi who the fans come to see. The captain proved influential in his brief cameo, as he helped set up the second and then scored the third. However, he and Rakitic should both still be fresh for Wednesday's trip to Sevilla as they only played the last 25 minutes. Valverde's ability to rotate successfully will prove important to Barcelona for the remainder of the season as they remain in contention in the league, cup and in Europe. Barcelona play the first leg of their Copa del Rey quarter-final against Sevilla at the Ramon Sanchez Pizjuan Stadium on Wednesday and then face Girona in La Liga on Sunday. Leganes' next fixture is on Saturday against Eibar in La Liga.